The LUMIE Play is the smallest LED in the LUMIE range. With such diminutive dimensions, the Play is perfect for keeping in a small bag or even your pocket to give you that extra lighting kick when you need it. 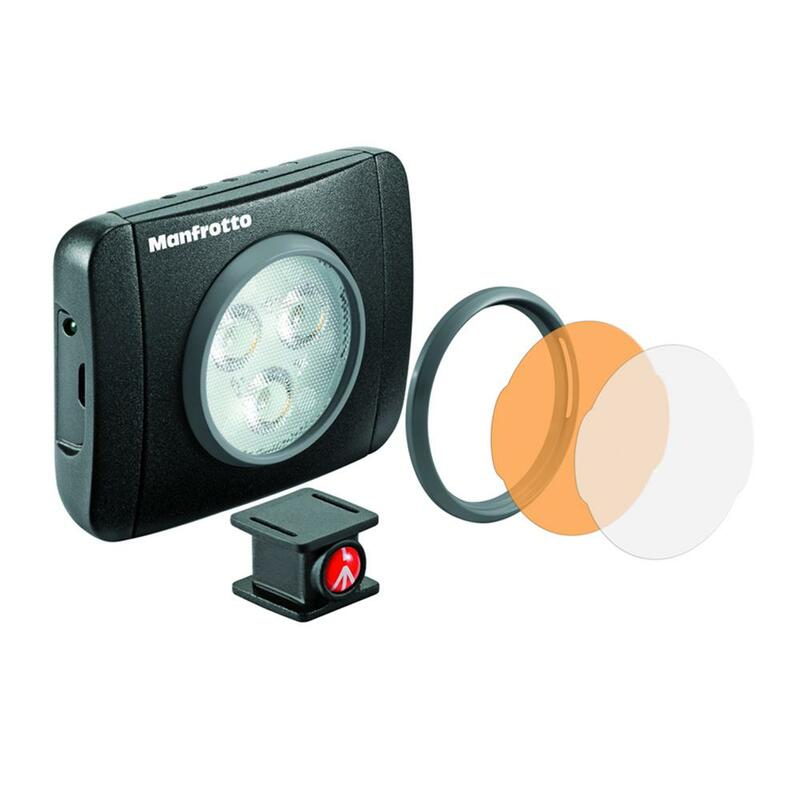 It is a great multi-purpose light, especially useful for videos and as fill light in photography. The USB rechargeable Li-Pol batteries provide superb battery life allowing you to make the most of the photo/video shoot. The LUMIE Play comes with a hot shoe mount, also provided with a standard 1/4" thread to enable you to attach it directly to a tripod or alternative supports. Also included in each kit is a snap-fit filter mount and filters, which modify the colour temperature and diffusion of the light; you can simultaneously use up to 3 to achieve various effects. The filters and filter mount are all supplied with they own carrying case.